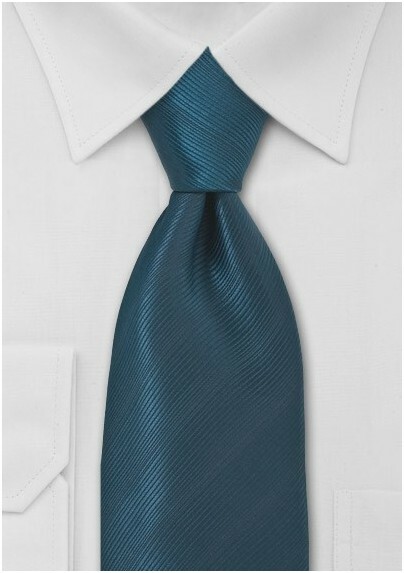 A trendy teal necktie by Puccini made in long length of 62 inches. The finely irregular ribbs add a nice textured look to the tie. It is a perfect balance of modern color, unique fabric texture, and classic solid color design. 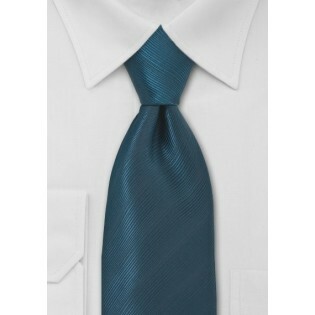 To match this teal blue tie we suggest either solid white or trendy black dress shirts. One look that will definitely get you compliments pairs this tie with a tan summer suit and solid white dress shirt. Made by Puccini from 100% microfiber.